The First Aid Unit offers a walk-in service, so no referral or appointment required. 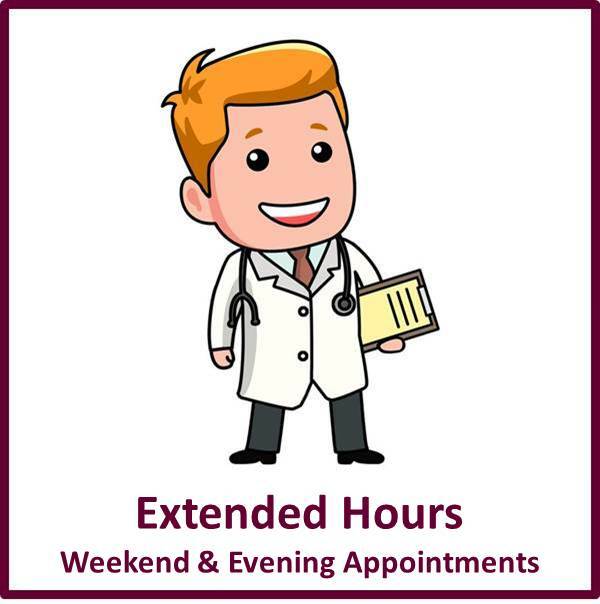 This service is open only outside normal working hours: weekdays from 6pm to 11pm, and 8.30am to 11pm on weekends and bank holidays. The First Aid Unit sees all minor injuries, but has no x-ray facilities. Self-refer to Local Services for issues such as Child and Adolescent Mental Health Services, Sleep therapy, Eye Problems, Healthy Weight Loss, Joint and Muscle Pain, Low Mood, Anxiety & Depression, Sexual Health and UTIs in Women. We offer a full health travel advice and immunisation service where we will assess the health risks of your travel plans, including malaria, and recommend the appropriate vaccinations. If you are travelling abroad, please complete and submit the travel form in plenty of time before your journey. Before you travel it’s important to find out whether you will need additional vaccinations for the country you’re visiting. As some vaccinations have a period of time until they become effective or may involve a series of injections, it is important that you allow sufficient time for this before your travel – at least 2 months. View more information on vaccinations and what you should do now. We are a parent support group who have children with special needs, which includes autism and ASHD/ADD. The leading UK charity for autistic people (including those with Asperger syndrome) and their families. The Banbury Area National Rheumatoid Arthritis Society Group meets every other month at the Horton Hospital Training Room (6.30pm – 8.00pm). Run by volunteers who all have Rheumatoid Arthritis, we organise various events to raise awareness and offer support, education and information to those lining with RA. Located in Launton, Bicester, the Hummingbird Centre works with people affected by cancer and are there, not only for the activities that take place, but for anyone who is on their journey, about to start their journey or even finished their journey. A group of men with their wives, partners, family and friends. We meet about 8 times a year for social and informative evenings. We have all ‘been there’ and are able to give you the benefit of our experience. Why not join our group – you don’t have to be alone. An Oxfordshire charity that helps children and their families before and after a major bereavement. Their website provides information for young people, parents and teachers, as well as details of further sources of support. facing the end of life. Many of their leaflets can be downloaded. A dedicated group for Trans Carers only, offering face to face support with a specialist support worker and peer to peer support from TransCarers in a friendly inclusive and understanding environment. Get connected to support you need. This website will help you find services in Oxfordshire that will support you to live well and be independent. Women aged between 25 and 49 years are encouraged to have a cervical smear test every 3 years and women aged between 50 and 64 should have a smear test every 5 years. The health visitors and doctor are available on Wednesday mornings for routine checks and immunisations of children under 5 years. This clinic is for well children only – please do not bring your child to this clinic for the treatment of illness. We want to raise expectations and outcomes for deaf children. We work to increase awareness, understanding and access to Auditory Verbal therapy by providing services directly to families and sharing our expertise with health and education professions so that many more families can access Auditory Verbal therapy close to where they live. Our School Health Teams work with children, young people and families to enable children to be healthy and reach their full potential. School Nurses are qualified nurses who have undertaken specialised training in the health of children and young people. Home-Start around Oxfordshire is a voluntary organisation which is committed to promoting the welfare of families with at least one child under five years of age. 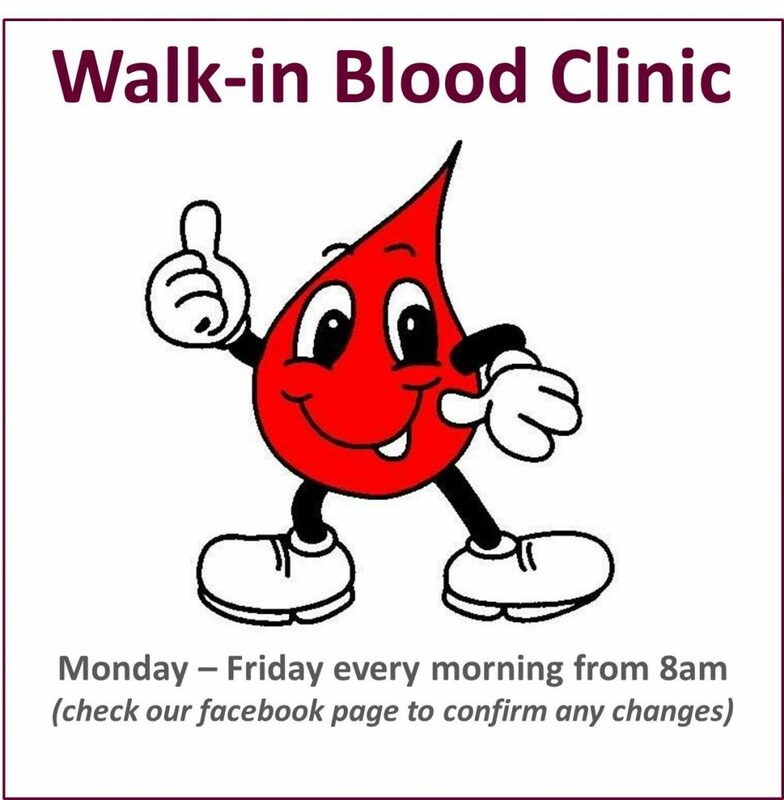 We have clinics for the management of diabetes, heart disease, hypertension, asthma and kidney disease prevention. We operate a recall system to ensure patients are invited to the clinics regularly. 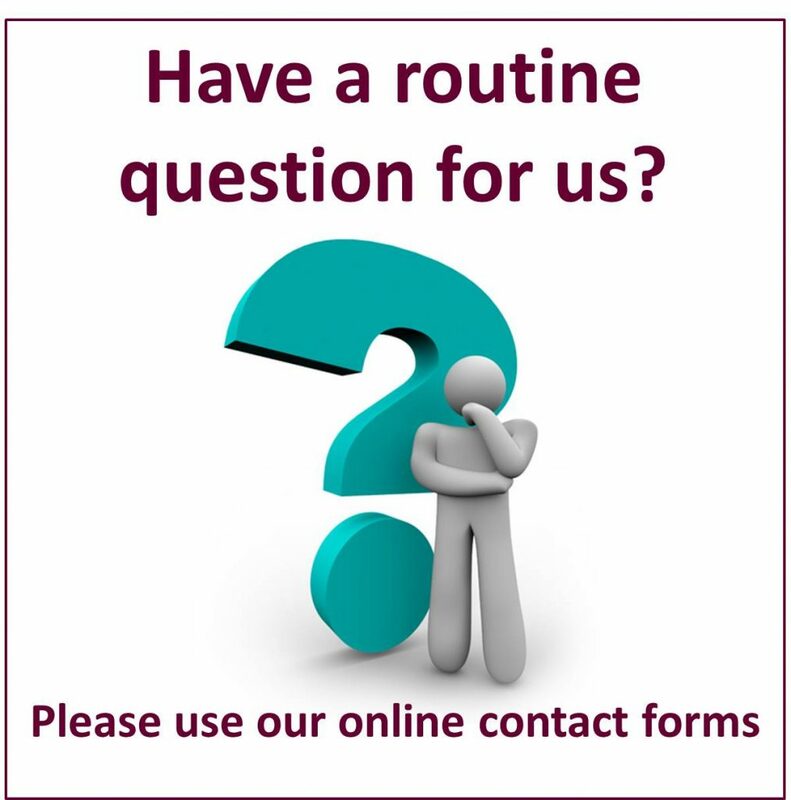 If you receive a letter from us, please contact reception to arrange a convenient appointment. Many people suffer from memory loss as they get older. But if it starts to happen on a regular basis, it could be the early signs of dementia. 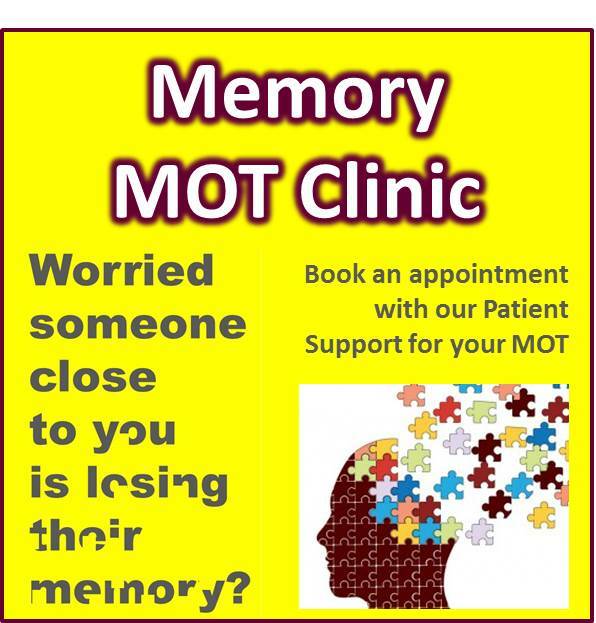 Speak to our Reception to book an appointment with our Patient Support for your Memory MOT. For information on support groups in Bicester and the surrounding area. Dementia Oxfordshire is a partnership between three local charities, Age UK Oxfordshire, Guideposts and YoungDementia UK, who are bringing together their specialist expertise to develop and deliver a new Dementia Support Service for people of all ages. The service is free to use. Specialist one-to-one support. Expert advice. These are the two key ways we help people living with dementia at Dementia UK. We do this through our unique Admiral Nurses who work hand in hand with families, helping them cope with the fear, uncertainty and difficult everyday reality of dementia. At Age UK Oxfordshire we are dedicated to providing essential services for older people throughout the county. Whether you are an older person or care for an older person as a friend or relative, we have a range of services that can offer practical help and support with a friendly face. Find out more about the programmes we run for people affected by dementia. If you have Dementia, or are caring for someone with Dementia come along and meet others in a relaxed setting. Cared for welcome. Bicester Methodist Church. Last Wednesday of each month, 10.30am – 12.00pm. Take control of your health and prevent diabetes. Group sessions with practical advice that’s proven to reduce the risk of developing type 2 diabetes. If your GP or Nurse believes you are at risk of getting Type 2 Diabetes by the results of a blood test or fasting plasma glucose test in the last 12 months, BMI >30, hypertension or previous gestational diabetes, you will be invited to attend this programme. We strongly encourage you to accept this invitation. Are you over 18 and have diabetes? Our education programmes can help you manage your condition, control your diabetes and improve the quality of life. You can self-refer to one of our education programmes: DIABETES2GETHER or DIABETES4WARD. A series of studies have demonstrated that T2D can be reversed to normal by substantial weight loss. This project aims to answer the question of whether losing weight on a low calorie diet and keeping it off using a structured, personalised support programme is a viable treatment for putting Type 2 diabetes into remission in the long-term. The Blood Sugar Diet, by Dr Michael Mosely, is based on the latest research and is designed not only to help you improve your blood sugar but for many it may even reverse diabetes or the metabolic syndrome. And if you are simply at risk of diabetes and the metabolic syndrome, this diet should keep your sugars down at a healthy level. (Please speak to your Doctor before engaging in any sudden weight loss programme). Bicester Hub- We offer a satellite service in Bicester on Thursday each week, this enables clients to access group work sessions, 1-2-1 appointments and drop-in services. Our practice nurses are happy to advise you about any immunisations that you should keep up to date. We encourage all patients with chronic medical conditions (e.g. diabetes, heart disease) or aged over 65 years to have a vaccination against ‘flu every year. Please make an appointment at one of our Flu Clinics which are held in October and November. Information on looking after and obtaining batteries for your NHS Hearing Aid. Insomnia affects one in ten adults. Sleepio is an online programme to address insomnia supported by the NHS. It aims to improve sleep without sleeping tablets through a fully automated, interactive web-based tool. 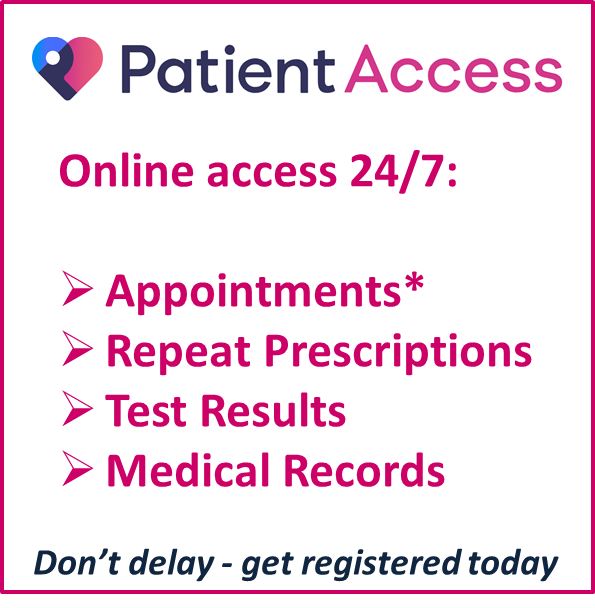 This means people can access the programme without needing a GP referral or prescription. View information on health walks near Bicester. Would you like to be more active, have fun, and meet new people? This a FREE programme in Oxfordshire designed to support you in in beginning your journey to become more physically active. Get up to £160 in vouchers to support you and use at your local leisure centre, and receive motivational coaching support you. Age UK’s Oxfordshire’s physical activity service. Find out what physical activity sessions are near you, or be inspired to try something new. Dance to Health is a nationwide pioneering falls prevention dance programme for older people. Combining evidence based physiotherapy with the creativity and energy of dance. Sessions last 60 to 90 mins plus 30 mins at the end for refreshments. Cost £5 per session or £20 for 5 session block. First session is FREE. If you are an older person who has had a fall or is worried about falling. No Dance experience necessary. Please email hello@dancetohealth.org or call on 01993 870 161 if you would like to come and try a session. Provides a national helpline and information service offering support, information and advice about what to do after a death and the practical issues and procedures that people may face. Provides individual support and counselling to bereaved adults. Provides information on dying, death and bereavement. Many of their leaflets can be downloaded from their website in a range of languages. 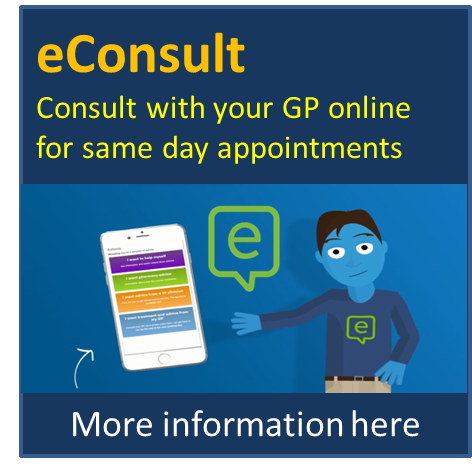 Provides video and audio clips, as well as written transcripts, of patients’ and carers’ experiences of a variety of health-related conditions and illnesses. These include peoples’ experiences of dying and bereavement. We are a self-help group for people with ME or Chronic Fatigue Syndrome, and their carers. Members can benefit from contact with other people who recognise and understand the illness. Members give each other friendship and support, exchange information about treatments, and learn from each other about the management of this long-term illness. Provides a range of publications and guides for people with life-limiting illnesses and their families. Provides details of a range of private and voluntary services which support people in their own homes. Can provide financial and practical support. All the doctors provide ante and post-natal care in conjunction with the community midwives who hold weekly clinics in the practice. View antenatal services from Oxford University Hospitals including Antenatal clinics, maternity assessments, labour and birth and aginal Birth After Caesarean Clinic (VBAC). View information on the following maternity units. View postnatal services from Oxford University Hospitals including Special Care Baby Unit’s (SCBU), VBAC (Vaginal Birth After Caesarean) clinic, breastfeeding clinics and birth afterthoughts. In a Mental Health Crisis? The Oxford Safe Haven (OSH) provides an additional resource to out of hours and an alternative to the hospital emergency department for people experiencing a crisis with their mental health. Friday, Saturday and Sunday, 6pm – 12.30am. Turn2Me provides a 3 tiered approach to supporting mental well-being – Self Help, support groups and Professional Support. Remain anonymous, express yourself and share your experiences without fear of recognition or judgement. Our team can support you through life’s challenges from the complex to the every-day situations you find yourself in. You may be facing homelessness, unable to keep up with rent payments, need someone to accompany you to an important meeting that could affect your future or need advice to complete a form for benefits. Our Homeless Support Service could provide you with short term housing with support to increase your skills and confidence, and help you to move on to more appropriate longer term housing. Don’t Miss Out. If you have a learning disability you can get extra support when visiting your doctor – all you have to do is add your name to the learning disability register. See our videos and guides to make sure you don’t miss out. The Oxfordshire Minor Eye Conditions’ Service provides assessment and treatment for people with recently occurring minor eye conditions. The service is provided by MECS accredited optometrists (also known as opticians) across Oxfordshire who have specialist knowledge, training and skills. The doctors have facilities to perform a range of minor surgical procedures. For more information please speak to our reception team. Do you suffer from pain in your Back, Neck, Muscles or Joints? Refer yourself to NHS Physiotherapy without waiting to see your GP. All the doctors and some of our practice nurses are trained in family planning, and can offer a full range of contraceptive services, including emergency contraception. 16 – 24 and living in Oxfordshire? You can order a free home chlamydia test. Most people don’t know they are infected as there are no symptoms in the majority of cases. Untreated Chlamydia can cause permanent damage to the reproductive system and lead to health problems in later life, including chronic pain and infertility. View a guide to the various activities you can get involved with in Bicester. Are you looking for an engaging, inspiring course, without the stress of exams? Do you have an area of personal interest that you’ve always wanted to explore further? We have just the courses for you! We are a partnership of Oxfordshire’s three Volunteer Centres who are funded by Oxfordshire County Council, Oxfordshire City Council and Cherwell District Council. We’re a friendly bunch who work closely together and we’d love to help you. Whether you’re an individual in need of a little more support to find a suitable volunteering opportunity, or a group needing advice around volunteer recruitment and management, then please get in touch. Volunteering with ARCh as a Reading Helper provides age-friendly social participation for patients who may be feeling lonely or isolated. We have a nurse who is specially trained to help you stop smoking. We aim to provide a personal, caring, free home visiting service to older people living in the Bicester area. If you feel you could benefit from a little extra friendship and support, then we are happy to help you. emotional problems, some of which you may not realise are due to sepsis. with others who understand how you’re feeling. If you have been affected by sepsis in any way, we would love to see you there. Family members and carers welcome. The Volunteer Connect Community Transport Scheme provides a service where volunteer drivers use their own cars to take people to essential appointments, when there is no reasonable alternative for them to travel. Passengers pay a 45p/mile charge (from the drivers home) to help cover the driver’s fuel cost. 2 days’ notice required. We are proud to transport people who are unable to use public or other transport due to their medical condition, and include those who are attending hospital outpatient clinics, being admitted to or discharged from hospital wards and needing life-saving treatments such as radiotherapy, chemotherapy or renal dialysis or DVT treatment. Your first NEPTS journey must be booked by a healthcare professional or by you calling the Patient Eligibility Line. 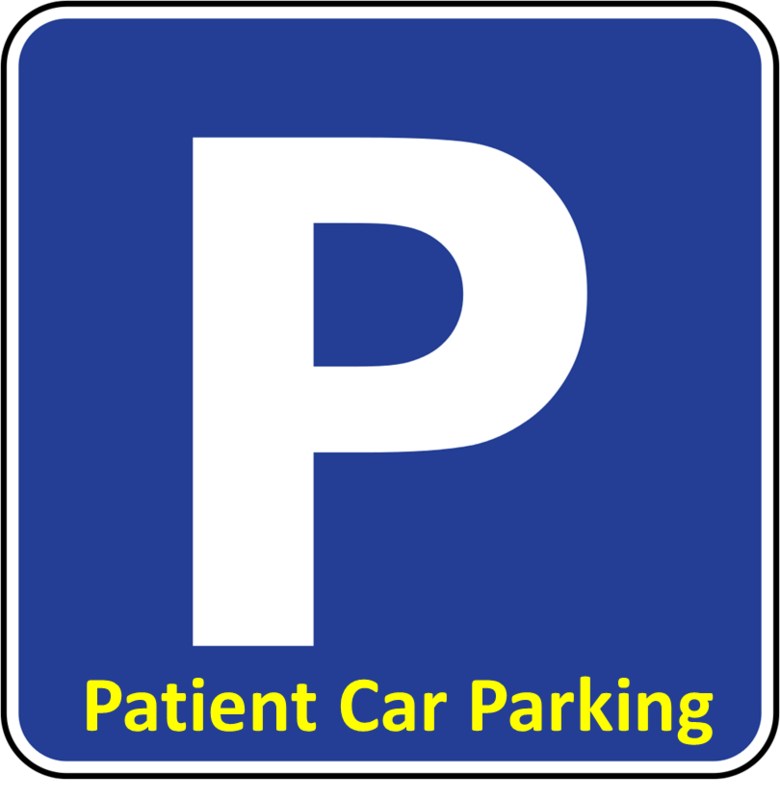 You can then use NEPTS Patient Zone to book subsequent journeys, manage your bookings and check your journey status. Our volunteer drivers use their own cars to provide essential transport for people who are unable to access public transport or don’t have help from friends or family. There is a charge, paid to the driver, for this service. All the nurses offer a range of advice and support to help you maintain a healthy lifestyle, this includes dietary and exercise advice. Self-refer to a FREE 12 week weight loss programme with leading weight-loss providers Weight Watchers or Slimming World. Plus the men’s only weight loss programme – Man V Fat. To help you have a healthier lifestyle. Achieve Healthy Weight Loss Oxfordshire services will include help with getting active, eating well and losing weight. Join a diet, slimming or weight-loss club in Oxfordshire and get the support and advice you need to get fitter and healthier. Including Slimming World and Weight-watchers.